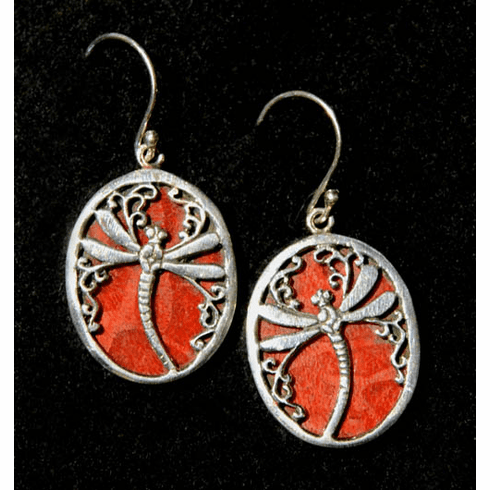 Coral Dragonfly Earrings - Beautifully hand crafted in Bali from sterling silver and red coral. Our Fair Trade earrings are gorgeous for any occasion. The intricate filigree design adds a sophisticated charm. Measures 1" x 3/4" for earring only, not including the hoop.